I tried a date for the first time a little more than a year ago, and was pleasantly surprised to find out how much I liked them. Since then, I have enjoyed snacking on them, but what I really wanted was to try baking with them. Thus, this recipe for Spiced Date Cake was born. Before I share the recipe I want to review a few things. 1.) It makes the dates soft, and moist. This provides a much better texture in the finished cake. It also makes them easier to chop when the time comes. 2.) It helps to prevent the dates from sinking to the bottom of the cake, or sticking to the pan. While it does take some planning to do this (you will want to start prepping the dates a few hours before you intend to start baking), it really isn’t a labor intensive effort. Then boil enough water to cover them (the actual amount you use will vary depending on the size/texture of your dates, and the size of your bowl). Then just pour the boiling water over the dates. You may notice the dates peeling a bit. That’s totally okay. The picture really doesn’t do them justice. They will be so much softer at this point, while still retaining their decadently sweet taste. I also want to take a moment to stress the importance of the resting time in this recipe. Once your batter has been mixed and poured into your cake pan, you will need to let it rest for a while (preferably 10-20 minutes). This may seem unnecessary, and you may even be tempted to skip this step entirely, but please don’t. Allowing the batter to rest before baking improves the texture of the cake dramatically. In fact, when baking without gluten, I recommend you always allow your batters and doughs some time to rest before baking. As written, this cake is Gluten Free, and Vegan. As far as the common allergens go, it is wheat, dairy, shellfish, fish, and egg free. Depending on your choice of non-dairy milk, it can easily be nut free as well. Some packages of the Bisquick Gluten Free Baking Mix do have a disclaimer on the label that state they may contain soy, while others do not. If you are avoiding soy, please be aware of this. 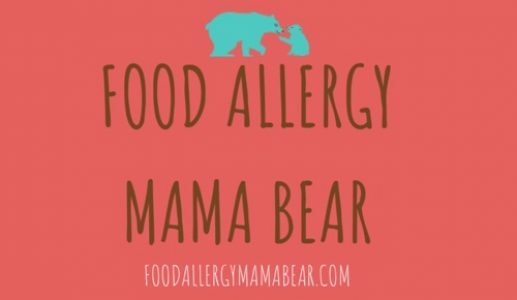 Product ingredients and labels do sometimes change, so I ask that you review all product and ingredient labels carefully before consuming, to ensure that the ingredients you are using are indeed free of your particular allergens. As I mentioned above, I used the Bisquick Gluten Free Baking Mix for this recipe. This product is not to be confused with a Gf flour blend or cake mix. It contains sugar and leavening agents in addition to a proprietary gluten free flour blend. I do not suggest trying to substitute a standard gluten free flour blend for this baking mix, as it likely will not rise properly, and would not be sweet enough when finished. Similarly, I do not recommend substituting this baking mix for another brand of gluten free baking mix, as the specific ingredients of these mixes vary by brand. For example, this particular brand contains sugar, but I know of a couple of other baking mixes that do not contain any sugar at all. Since I have not used any other brand with this recipe, I do not know for certain how another brand would work out. If you do decide to try another brand anyways, it may be necessary to adjust the amounts of sugar and other recipe components. It may also be necessary to add an emulsifier (such as Xanthum gum), or leavening agents (such as baking soda and/or baking powder). Lastly, do not feel like frosting this cake is your only option once this cake has baked, and cool. When I made this cake, I brushed the finished cake with melted Earth Balance, and sprinkled cinnamon sugar over the top. It would also be excellent glazed, or with a dusting of confectioners sugar. I can’t wait to try it with drizzled Coconut Caramel Sauce—I just know that would be utterly divine. If you do decide to frost this cake, it will undoubtedly be delicious, but if (like me) you are the adventurous type, don’t hesitate to get creative with your toppings. All in all, my family really enjoyed this cake (even my mother that strongly dislikes dates liked it). If you decide to make this cake, please let us know how it worked out for you in the comment section below. 1.) Place dates in a small bowl. Boil enough water to cover dates, and pour over dates. Allow dates to soak in warm water until soft and pliable (approximately 2-3 hours). 2.) Preheat oven to 350 degrees. While oven is preheating, grease bottoms and sides of a small cake pan. 3.) In a large bowl, stir together the melted Earth Balance, brown sugar, applesauce, non-dairy milk, and vanilla extract. Once combined, add the baking mix and spices, and beat on low speed until just combined (approximately 30 seconds). 4.) Increase mixer speed to Medium, and beat 3-4 minutes, scraping the bowl occasionally. 5.) Coarsely chop the softened dates, and gently fold into the cake batter, until they are evenly distributed. 6.) Pour the batter into the prepared pan. 7.) Allow batter to rest in the pan 10-20 minutes before baking. 8.) Bake in preheated oven until cake is firm to the touch, and a toothpick inserted into the middle comes out clean. 9.) Allow to cool before serving. *For our Canadian readers: The gluten-free Bisquick is also available in Canada.